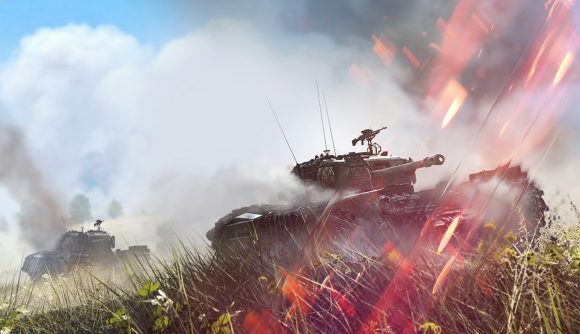 December 4, 2018 Battlefield V’s Overture update launches on December 5, just a day later than expected. After an unfortunate delay, Battlefield V’s first Tides of War update is back in line for launch. Luckily that wait hasn’t amounted to much, and Chapter 1: Overture is now scheduled for launch on December 5, just a handful of hours from the time of this post. Downloads will roll out beginning at 00:00 PST / 3:00 EST / 8:00 GMT ahead of an expected one hour downtime. That’ll leave PC players able to hop in-game and play on December 5 at 1:00 PST / 4:00 EST / 9:00 GMT. This will bring the final piece of the game’s single-player War Stories campaign, a new tank-focused multiplayer map, vehicle customisation options, and a brand new practice range where you can improve your skills. You can check out a new trailer for it all below. There’s a new Practice Range option with a Shooting Trial and Driving Trial, each of which will give you chance to run against various challenges and improve your skills on a modified version of Hamada. This update also marks the launch of vehicle customisation, which will let you tweak the look of your rides. While this December 4 update won’t change Battlefield V’s TTK – those tweaks are coming later as noted on Reddit – it will include a host of balance changes, including smoother revives and a rebalance for the Medic class. Those sorts of updates along with bigger bouts of new content should mark a strong start for BF5’s next year.